Funeral services will be Tuesday April 9, 2019 at 2 PM from the Chapel of Taylor Funeral Home with Pastor Wes Sesler officiating. Place of rest will be in the Gillin Cemetery in White Bluff. Visitation with the family will be Tuesday April 9th from 1 PM until time of service. 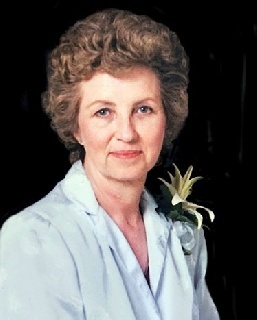 Mrs. Clara Faye Talbert Brown, age 88 of Nashville, TN died Friday, April 5, 2019. Born in Sylvia, TN she was the daughter of the late James Calvin and Addie Arnold Talbert and was preceded in death by her husband Philip L. Brown, Jr. Faye was a graduate of Dickson High School (1948) where she was salutatorian of her class. It was said at the time she had the highest grades of any former student, but due to school policy she could not be valedictorian because she was not involved in sports which was taken into consideration of one’s “well-roundedness”. After graduating high school she worked the switchboard at Southern Bell. Later she worked as a general assistant for Dr. Ward in Nashville, TN. She married in 1963 and left work to became a full-time homemaker and mother. When her two children were older teens she became a professional seamstress sewing window treatments, formal dresses and uniforms for the Bellevue and Hillwood High Bands in Nashville, TN. She also made her daughter’s wedding and bridesmaids dresses from her own custom design. Faye attended and was baptized at the Bellevue United Methodist Church. Everyone who met or knew Faye was touched by her gentle, humble, loving and giving heart. Christ was apparent in her by the way she lived and served others. She will be deeply missed by her family and friends left behind. Survivors include her daughter, Susie Brown Adkerson (Carey) of Nashville,TN; her son, Philip L. Brown III (Leslie) of Nashville,TN; grandchildren: Ashley Brown of Nashville,TN; Zacarey Adkerson of Nashville,TN; Megan Brown of Murfreesboro, TN; John (Desi) Brown of Hampton, VA and Abbie Faye Adkerson of Nashville, TN. Survivors also include brother, Billy Talbert of Gallatin, TN; sister-in-law, Christine Talbert of Dickson, TN and many, many nieces and nephews. In lieu of flowers, donations can be made in Faye’s honor to the Gillin Cemetery (private family site) for future expenses and upkeep.